Haven't been doing a lot on the bikes recently, an ascent and decent of Kaim hill a while back, a bit of short stuff over Goldenberry hill and a very pleasant loop at Lunderston Bay last week but nothing demanding. The past few days have been too warm for me to think about the mountain bike but I have been out a few times on the road bike. That way I can keep reasonably cool and still get a good outing. Yesterday Anne and I put the bikes on the car and went over to Dundonald, parking below the castle. We did a couple of hours along some lovely quiet lanes to Barnweil monument which commemorates the burning by William Wallace of the English garrison billeted in the barns of Ayr. 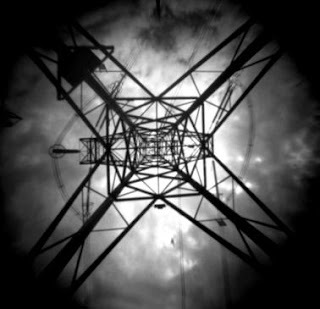 The past few months I've been taking lots of photographs mainly of the pinhole type. One great thing about pinhole cameras is you can make them youself to your own specification. I've made myself various pinhole cameras to do all sorts different things and generally had a great time making and using them. View a recent set below or use the sidebar to see my photo stream on Flickr.